Microsoft today added four new accessories to its lineup, all of which are set to arrive before the holiday season this year. The most notable addition is arguably the wired Xbox One controller for Windows, but the company also revealed a universal keyboard and two new mice. 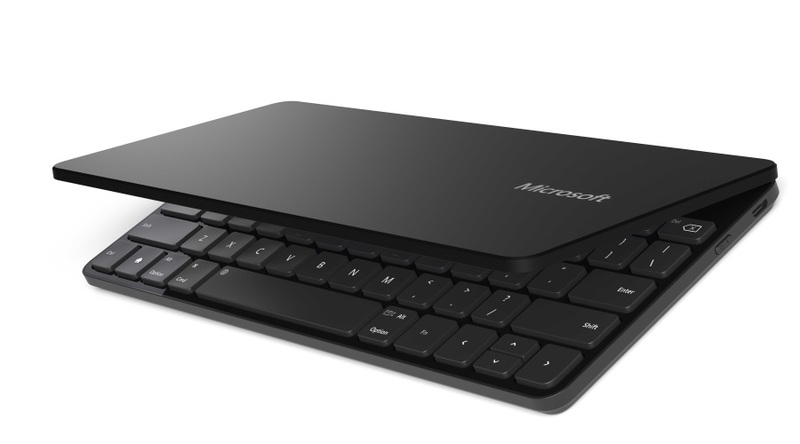 Microsoft’s pitch for this new keyboard is simple: it works with your tablet as well as your smartphone. 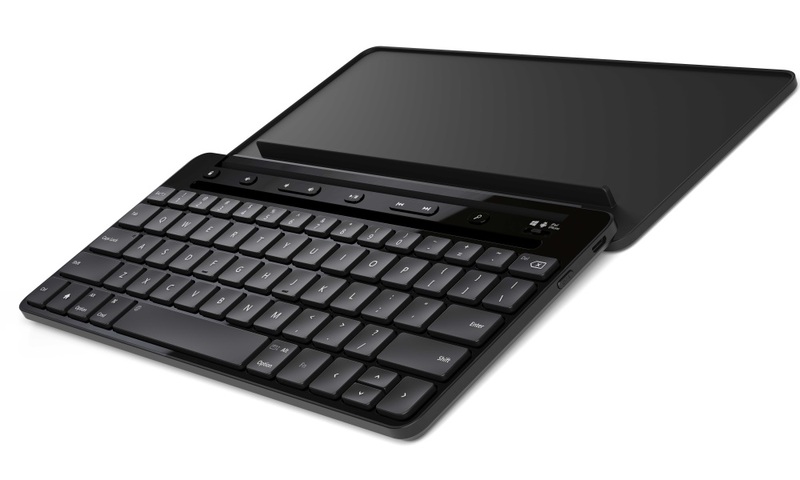 The Universal Mobile Keyboard is compatible with Android and iOS devices, as well as Windows tablets (but, interestingly, not Windows Phone smartphones). Designed for iPad, iPhone, Android devices and Windows tablets: The OS switch allows you to work seamlessly across iOS, Android and Windows without sacrificing functionality, and to pair up to three devices with different operating systems at the same time. It also offers each platform’s unique keys, including the Windows Control key, the iOS Command key and Android’s Home button. Integrated stand: The multipurpose cover includes an integrated stand for your smartphone or tablet. Easy on/easy off: Flip the cover open to power up and connect, close the cover to power down. Protective shell: The self-enclosed protective shell eliminates the need for and clutter of an extra carrying case. Detachable cover/stand: The cover with integrated stand can easily be detached, allowing you to position your device in a more comfortable position. Rechargeable battery: Microsoft promises up to six months of usage on a single charge. If you’re interested in the two mice, check out these links: Wireless Mobile Mouse 3500 Limited Edition ($29.95) and Arc Touch Bluetooth Mouse ($69.95). The mice will be both available later this month. See also – Surface Pro 3 review: Has Microsoft’s delicate compromise worked this time?